Setting the bar higher for the local automotive industry and having posted a 38 percent year-on-year sales growth in Q3 2016, Suzuki Philippines (SPH) intends to continue its unwavering performance through to the last quarter by expanding its presence in Laguna with the newly-opened Suzuki Auto Binan. The city of Binan is more commonly known as the trading center located immediately south of Metro Manila. It houses numerous banking institutions and a growing number of commercial establishments and shopping centers. With Binan as the center of commerce in its region, SPH recognized and translated the city’s potential into an opportunity that caters to their widening customer base. 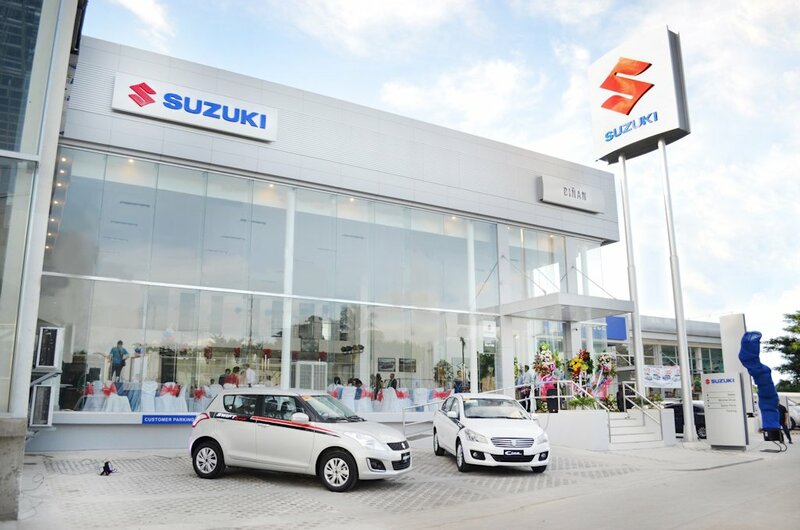 “With the opening of a new dealership store in Binan, we anticipate Suzuki’s stronger market presence in the area. We also hope that through this expansion, more Filipinos will come to experience first-hand the Suzuki Way of Life and incorporate it into their lives,” says Mr. Shuzo Hoshikura, Suzuki Philippines General Manager for Automobile. Located at SLEX Autoplex (Carmona-Binan Exit), Suzuki Auto Binan is owned by The Shaw Motor Plaza Corporation under the management of President Felix Limcaoco III. Being the group’s 6th dealership outlet, it is also the 31st 3S (Sales, Spare Parts and Service) dealership of Suzuki Philippines and the 52nd among all Suzuki Automobile dealerships. It will serve as a dedicated one-stop shop that offers sales, spare parts and other related services to motorists in the vicinity and as another avenue for the pioneer manufacturer of compact vehicles to build new client relationships and improve on existing ones. Among the product line-up of Suzuki Philippines are the well-loved brands Suzuki Ertiga, Swift, Celerio, Jimny, and Ciaz. Other than these, the pioneer manufacturer of compact vehicles recently marked its additional entry in the utility commercial vehicle segment with the all-new Suzuki Super Carry. Boasting of high performance, strength, superior loading capacity and a Euro-4 certified Diesel engine, the Super Carry is ideal for micro, small and medium-sized businesses.